Rabat - He wanted to go treasure hunting. 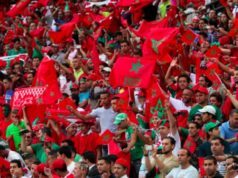 A 30-year-old man has called the public to gather in the Atlas mountains, in Serghina near Ifrane on Monday, claiming that there is a hidden treasure. Rabat – He wanted to go treasure hunting. 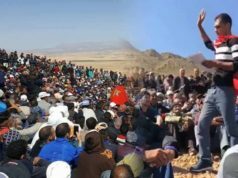 A 30-year-old man has called the public to gather in the Atlas mountains, in Serghina near Ifrane on Monday, claiming that there is a hidden treasure. The treasure hunter claimed that he had a dream that there was wealth in the region, 30 kilometers east of Boulemane and 90 kilometers east of Ifrane. According to the man, an individual revealed to him that the value of the treasure was considerably higher than that of gold. 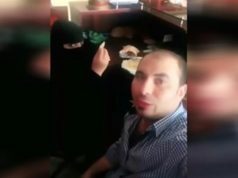 Several videos have been circulating on social media in which the man has asked a gathering of people to chant “Allah Akbar.” The individual promised to share all the wealth equitably to all those present and change their destiny, according to him. However, he explained to the people who went to the mountains that it was up to him to go down with his family to extract the treasure. Then he tried to escape, but the crowd began to pursue him until the Royal Gendarmerie intervened and arrested him.